With some of the world’s most popular and celebrated dishes, Chinese cuisine has put the country on the map. Millions of people around the world have already visited cities such as Beijing on their perfect China tour to get a taste of what Chinese cuisine has to offer. For those who would like to experience a real taste of China when visiting the country, we have created a guide to just some of many different types of Chinese cuisine; Cantonese, Fujian, Shandong, Sichuan, and Jiangsu. Along with suggested dishes and restaurant recommendations, it will certainly get your taste buds tingling! Jiangsu cuisine focuses on soft textures using locally caught fish and seafood. Other ingredients, herbs and spices are picked and chosen for the dish in accordance with the four seasons. Most dishes are cooked in the Wuxi style, which involves the addition of sugar and soy sauce to create a sticky, caramelised flavour. Whilst the Jiangsu province sits just north of Shanghai, it is easy to see why the most populous city in China is a hub for Jiangsu cuisine. “I would personally recommend that visitors be a little adventurous and try some of the more local choices – Shouning Road for example is a small street packed with small stores selling crayfish and the atmosphere alone makes this worth a visit. Yangzhou, the old style Jiangsu restaurant located in the Luwan District of Shanghai with other branches located across the city, is decorated in the style of buildings of ancient water towns in southern China, and the food is as good as the atmosphere! Signature dishes include crab powder meatballs and shredded chicken with dried beancurd. Nanling restaurant in the Jing’an District of Shanghai is also a particular favourite with the locals, providing light flavours and tastes such as roast duck and the stir-fried yellow croaker (a kind of fish). One for those who want to spend a little more on their authentic Jiangsu dining experience, Villa du Lac is situated in a restored and renovated Shikumen house with crisp white, elegant décor. The dishes served are just as eye-opening as the setting, with delicious, authentic Jiangsu cuisine. As one of the most familiar here in the UK, Cantonese cooking is already well known as a part of Chinese cuisine. But like all authentic food, it isn’t as good until you have tried it in the native homeland! Cantonese cooking is all about incorporating meat such as beef, chicken and pork. For those brave enough, you can try duck’s tongue, chicken feet and offal, all of which are staple aspects of the dishes served in China. A minimal amount of herbs and spices are added to avoid overwhelming the freshness and quality of the meat, most of which is steamed or stir-fried for ultimate flavour. 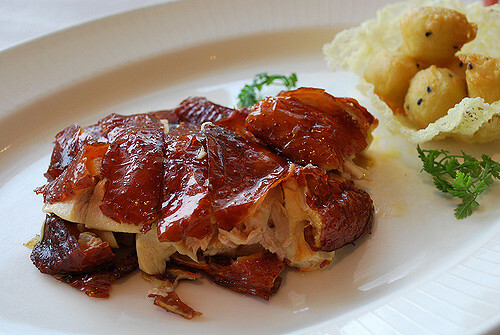 Lung King Heen in Hong Kong is a three–star Michelin restaurant which is the ultimate in Cantonese dining and cuisine. Based at the Four Seasons Hotel in Hong Kong, not only does Lung King Heen offer mouth-watering food, but also spectacular views over one of the busiest cities in the world. Specialising in exquisite yet authentic Cantonese cooking, it is worth spending a few pennies to get a true taste of one of China’s most prized cuisines. 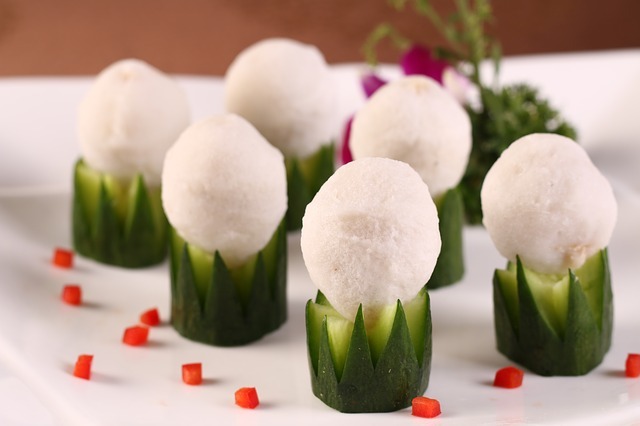 Try their weekday dim sum lunch, which is full of flavour and will leave you pleasantly full. Derived from the native cooking style of Fujian province on the southeast coast of China, Fujian cuisine boasts light and flavoursome tastes and textures without taking hold of strong aromatic herbs and spices, unlike the Cantonese. 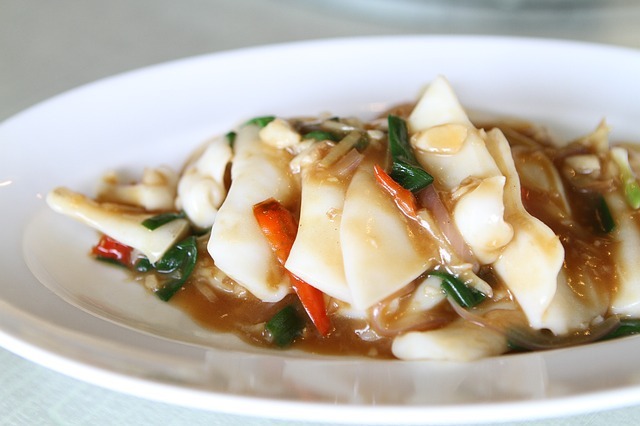 However, Fujian cuisine focuses on seafood and fish to complement the taste of other natural ingredients, such as bamboo shoots and edible mushrooms. Fish sauce and peanuts are among the most common ingredients found in Fujian cuisine. The Little Glass Food Stall on Xiamen Island offers a wide variety of fresh seafood, including clams, sea cucumber and shrimps. Those who visit the restaurant recommend the sleeve-fish cooked in soy sauce. This is a true taste of Fujian cuisine and the authentic atmosphere that the restaurant provides makes the tasting experience even more enjoyable. The northern coastal province of Shandong, often described as the ‘ancient mother of the northern cuisine styles’, boasts simplistic flavours whilst delivering a cuisine to remember. 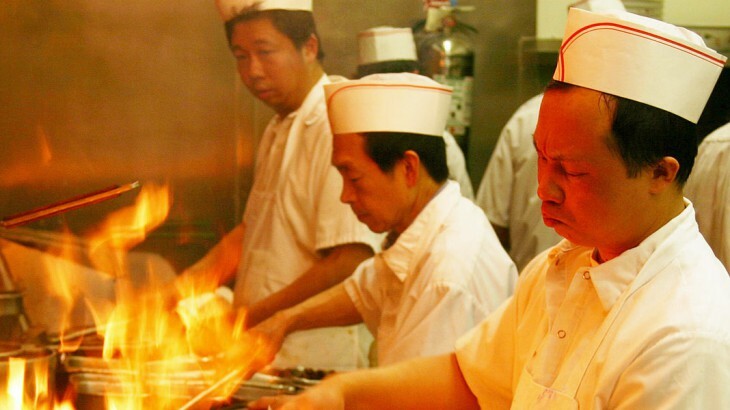 Shandong chefs use the natural spice of the onion family, such as green onions and garlic, whilst adding a choice of fresh salty fish or meat. The style of cooking involves extreme heat stir-frying, also known as ‘bao’, which allows the ingredients to cook quickly whilst locking in taste and moisture. Ju Feng De restaurant is said to be one of the oldest restaurants to serve Shandong dishes in Jinan. 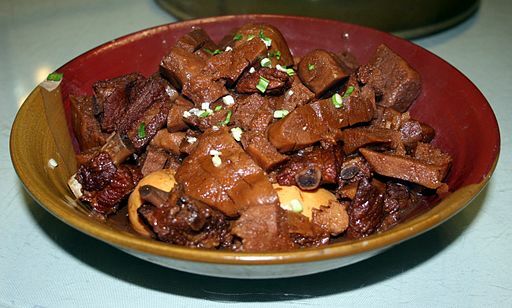 Dishes at Ju Feng De include fried carp with sweet and sour sauce and stir-fried scalloped pork kidneys. Another popular taste of China, Sichuan cuisine originates from Sichuan province in southwestern China. In this Chinese cuisine, expect bold flavours with hints of heat from various spices such as chilli peppers, garlic and its very own Sichuan pepper. 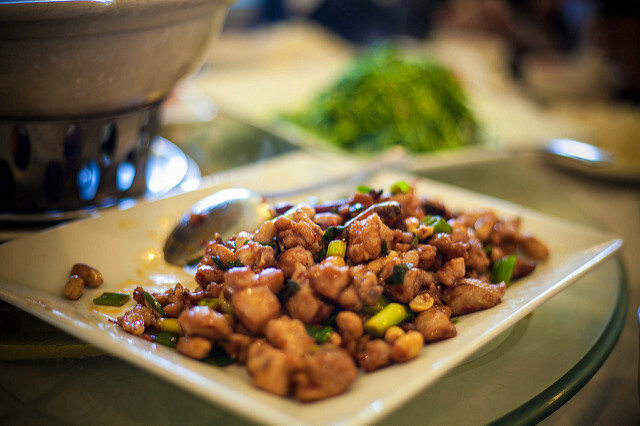 There are four sub-styles of Sichuan cooking, the most famous of which is Chengdu, which was declared a UNESCO city of gastronomy in 2011 in recognition of its cuisine. Focusing more on meat than fish, this type of Chinese cuisine highlights depth and full-bodied, moreish flavours. Transit is one of the trendiest Sichuan restaurants in the Chaoyang district of Beijing; and it doesn’t hold back on sophistication. The modern take on classic dishes whilst keeping to the traditions of Sichuan cuisine adds a hint of surprise and excitement to what will be delivered to your table. Meats coated in perfumed spices and flavours will awaken your taste buds. Try traditional Chinese cuisine when you book a holiday to China with the UK’s leading China Experts, Wendy Wu Tours. 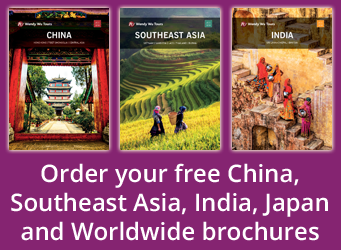 Our award winning escorted, fully inclusive China tours visit all the major sights for an unforgettable holiday. China food and drink, tourism. permalink.